Batribike has styled the whole look of this bike from the colour-matched mudguards, chain guard and forks to the harmonious graphics and coach lines. 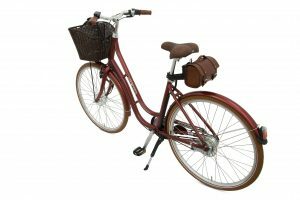 The matching saddle and grips fit nicely with the saddlebag battery cover and the useful front basket. Coloured tyres complete the overall look of the bike. 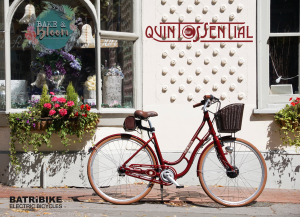 The quality of the European build is obvious throughout the bike and components have been carefully chosen to creat a high specification electric bike that is easy to use. The Shimano Nexus 7 speed hub gears are easily selected with the RevoShift twist grip gear changer. 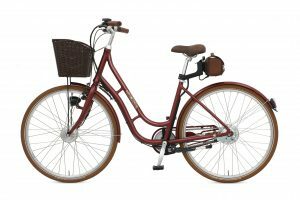 Battery and assistance levels are easily seen and controlled from the handlebar mounted display.